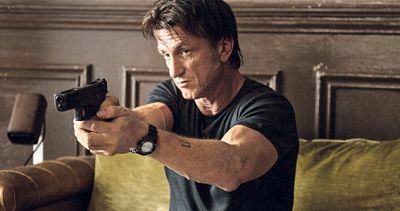 Sean Penn (The Tree of Life) goes the vengeful Liam Neeson route in the 2015 action thriller The Gunman. Directed by Pierre Morel (From Paris with Love), the movie also features a fine selection of co-stars the fine Idris Elba (Prometheus), Ray Winstone (Hugo), Mark Rylance (Anonymous) and Javier Bardem (Skyfall). The Gunman was miserably received by critics, garnering a 17% positive rating at Rotten Tomatoes based on 143 published reviews. Ouch. The poor critical reception didn’t help the domestic box office gross, which tapped out at $11 million this past spring. But, er, well, if you like Sean Penn and the boys, then there’re probably worst things you could do then with your time—like mowing the lawn or re-shingling your house….